How many times have you heard, “I’m so stressed”? How many times have you said it yourself? Stress affects everyone. It’s a normal reaction to any obstacles or problems in our lives. 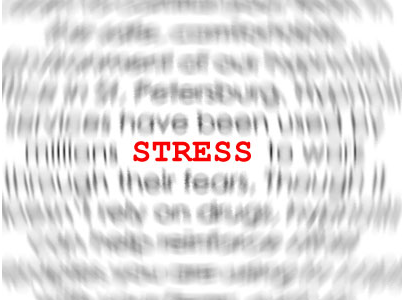 There are two types of stress you need to be aware of: Eustress and Stress. Eustress is your helpful type of stress. Eustress is that anxious feeling associated with anticipation. You may experience eustress as “butterflies” just before giving a speech or presentation, at a job interview or when you are trying something new and out of your comfort zone. Eustress occurs right before you need to exert physical force as your body releases adrenalin into your blood stream to prepare your body for whatever is about to happen. It's that feeling you get before getting on the monster roller coaster, or anticipating the take-off of your flight, or dropping on a knee to propose to the light of your life. The key here is Eustress prepares you for those exciting but non-life threatening events that have a positive outcome. The negative type of stress generates real fear, anxiety, and frustration. The mind / body connection triggers the “fight or flight response” and reacts by dumping hormones such as adrenaline into our blood stream that signals to our body that we’re under ‘attack’. While it can save us from real danger or perceived danger, our body should return to natural state of alertness in a short amount of time after the danger has passed. The negative problems with stress occur when our “fight or flight response” remains turned on and doesn’t return to a normal level of awareness. 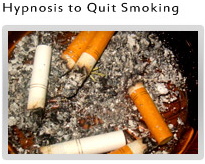 It’s more than a nuisance; it’s a health risk. Our minds and bodies work together, so the continual adrenalin fueling the fear, anxiety, negative thoughts and emotions have profound consequences on our bodies and mind. 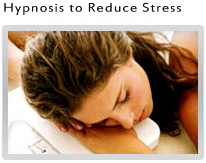 Many health problems start from a state of stress that continues to put pressure on the body. Research shows that many heart attacks and strokes are stress-related. Doctors report the majority of their patients’ complaints are caused from stress. So what can you do to reduce your stress? You need to take some time to think about your life priorities. What is important to you? What will make you happy? Is being on every school committee making you happy or harried? Put yourself first, so you can pursue a path that is in alignment to your priorities. • Job stress is more strongly associated with health complaints than financial or family problems. 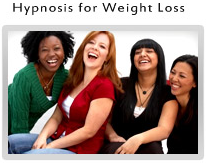 Through hypnosis with Tamara you will be guided through exercises that help you learn how to adapt to stressful situations, resolve existing anxieties, and create new ways of looking at the world. You will become more open to change and formulate a new outlook on the life you are creating with your new thoughts. We all have challenges in our lives, and we all have the same 24 hours in a day. You will find our level of stress really isn't caused by the people and events in our lives, but how we perceive them and respond to them. Once you learn how to change your own thoughts, you can handle life more easily. It’s that easy. Contact Us today and begin being the person you want to be. While hypnosis has many beneficial effects, it is not a substitute for appropriate medical attention. Statements and programs offered on this website are not intended to diagnose, treat, cure, or prevent any disease or illness. When dealing with physical and/or mental illness or disease, always consult a qualified physician or therapist.